And here’s a sneak peek of an upcoming design. Ah, mystery! What’s new on your needles? Mine are strangely empty, but not for long. This entry was posted in Blogging, Knit, pattern design and tagged design peek, Robin Hunter. Bookmark the permalink. Love the colors! I just finished a pair of socks for me, and planning to start a pair for my coworker’s baby shower. Oh my gosh ….I went crazy with startitis this weekend. You can read the details on my blog. 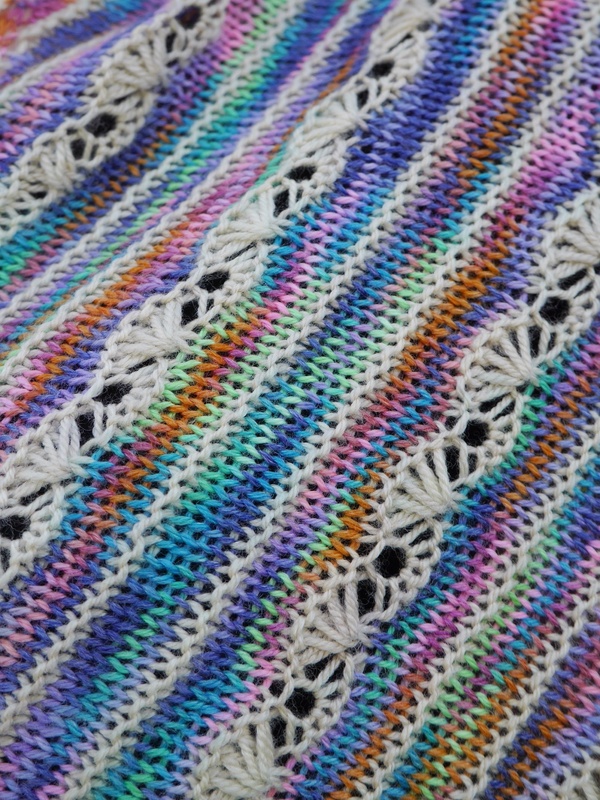 Don’t know what the pattern is going to be on that picture, but the yarn color is VERY pretty. That color is Rainbow Shave Ice! I love it…it’s finally published! When do we get to see the new design? I’m looking forward to it. I saw that! Thank you, and have fun!